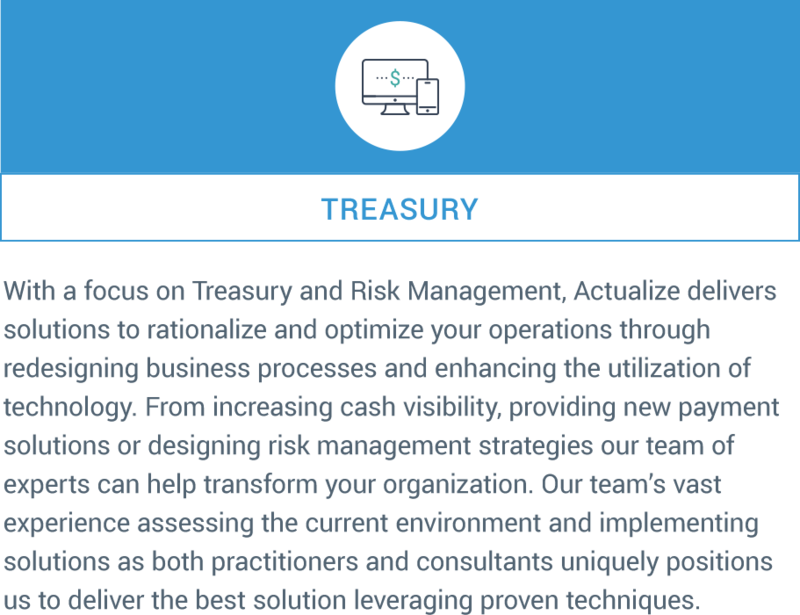 At Actualize Consulting, our mission is to be an industry leader in the management and automation of financial functions and corporate financial events. 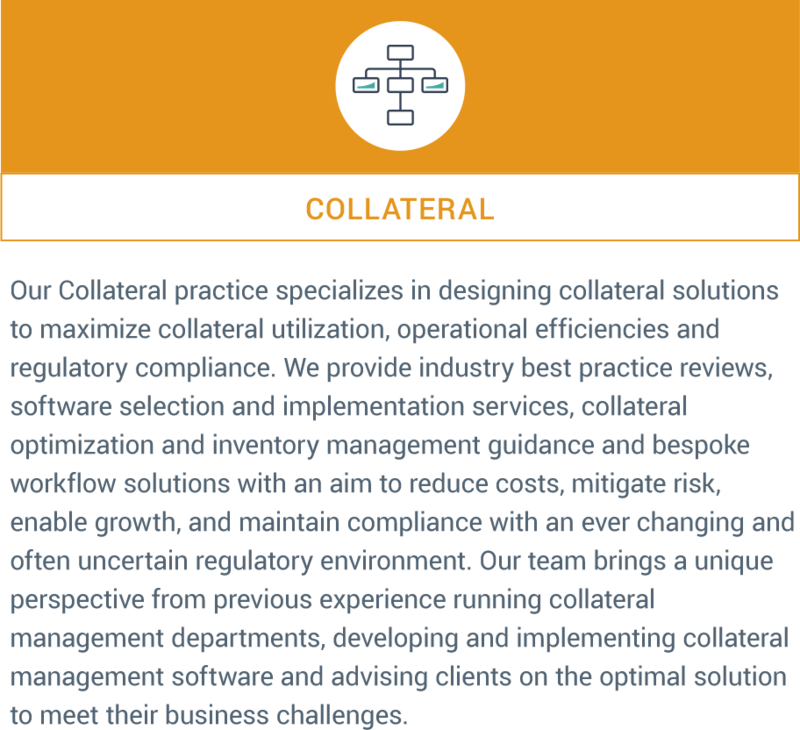 Our consultants have extensive experience and are accustomed to the challenges involved in working in demanding atmospheres. 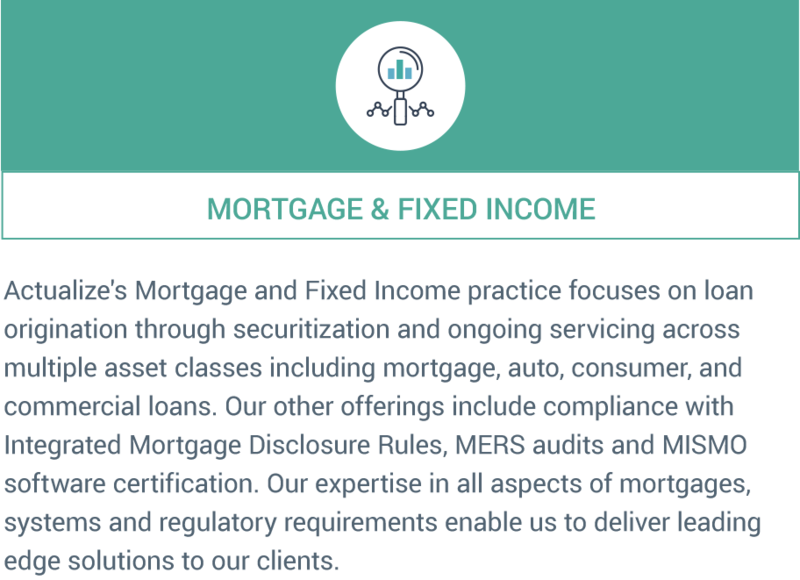 We focus on serving mortgage firms, banks, corporates, insurance companies and other financial institutions, and Federal and State Government. 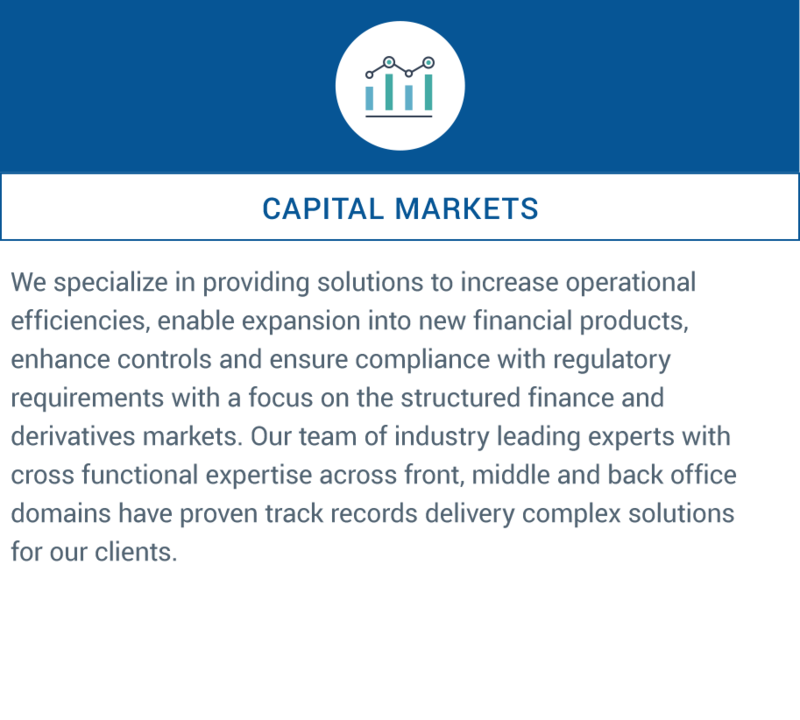 Click here for client testimonials.